Former DM rejects Azariya judge claim that his statements prior to investigation wrap-up were improper. 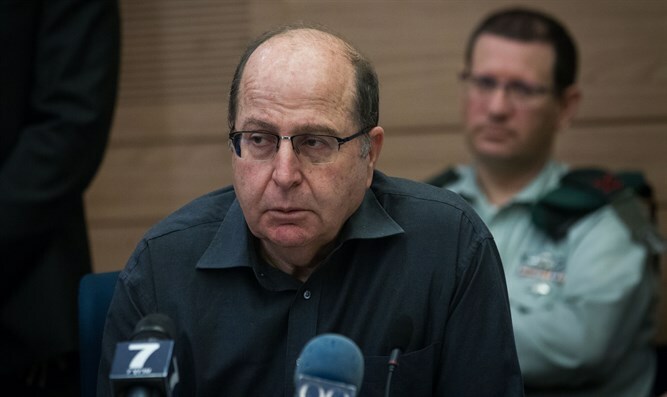 Former Defense Minister Moshe Ya'alon responded to criticism leveled at him by the military court judges who today (Tuesday) rendered the judgment of soldier Elor Azariya. "It was clear to the Prime Minister, the Chief of Staff, and myself immediately after the initial operational investigation that the incident was exceptional. Therefore, we came to a joint decision to release a statement a few hours after the incident in order to prevent a flare-up in the area," said Ya'alon. In the court ruling the judges wrote, among other things, "Indeed, soon after the event, the then Defense Minister, Chief of Staff, and IDF Spokesman released statements expressing strong opinions about the meaning deriving from the defendant's actions and the moral failure associated with them. At this point the police investigation into the event was in its beginning stages." "When it comes to data involved in a criminal investigation, it is proper to wait to clear up the factual picture emerging from the investigation, and insofar as there is a necessity for the IDF command to publicize a statement at so early a stage - then the statement should be moderated and qualified, being mindful of the fact that there are still no investigative results," the judges added. "Although during the trial the judges recognize no authority other than the law, statements voiced by senior public officials have broad implications for public attitudes and public trust in the judiciary. Respect for the principle of separation of powers requires therefore speaking with restraint and caution in relation to matters pending before the court, and breach of this duty could severely undermine the fundamental principles of a democratic regime in Israel," the judges noted.